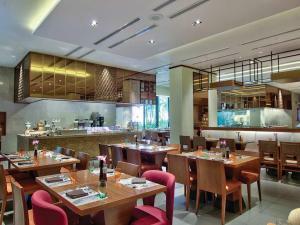 Staff in guest services and restaurant were excellent and very friendly. Very friendly staff on check-in. We were upgraded to a higher floor due to the construction noise. Suites are large and bedrooms have plenty of space. The bathrooms had been renovated but the place was more dated. 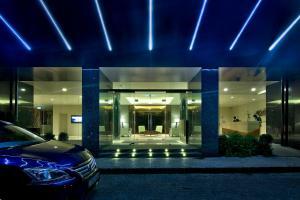 If you’re looking for modern the Colombo Hilton Is a better option. The view is good bit all the windows and veranda doors are sealed shut. Also all the windows are covered in dirt. Beds are comfortable. The construction went all night on our first night and stopped the second night. The staff provided taxis for us in the main lobby. A few grocery shops are close by if you want to but groceries. Nice space for a family. The apartment was very clean with a fantastic view of the Lotus Tower. The swimming pool was very clean. The rooms were clean and perfect. The breakfast and room service was awesome ! I got upgraded. And everyone at the hotel was very helpful and welcoming! Love the bed. Love the service and friendliness of the staff who have known me for years. Especial thanks to Sarsvanan (Duty Manager), Duminda (Reservations), Rukhmal (Flow), Bandara (Room Service) and Dhanushka (Front Desk). 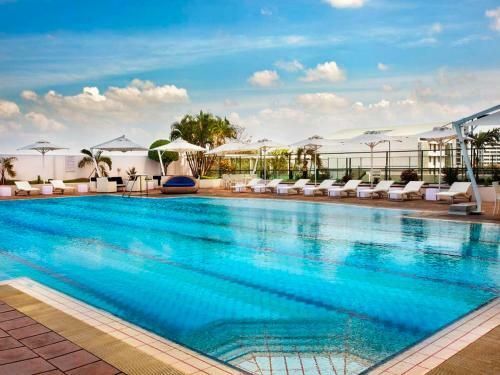 Hilton Colombo Residence This rating is a reflection of how the property compares to the industry standard when it comes to price, facilities and services available. It's based on a self-evaluation by the property. Use this rating to help choose your stay! 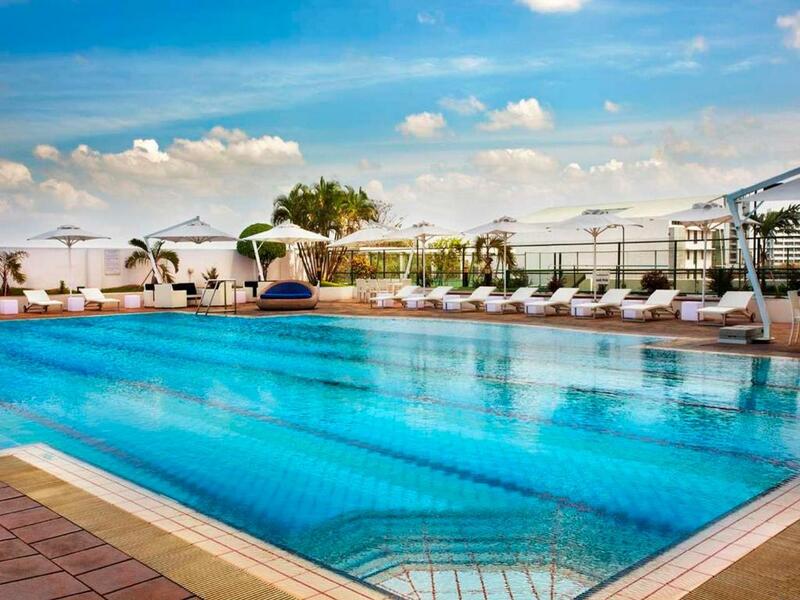 One of our top picks in Colombo.Located in the heart of Colombo city, Hilton Colombo Residence offers rooms and suites with panoramic views of the city, harbor or Indian Ocean. 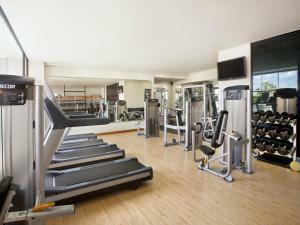 Boasting an outdoor pool, it also has a fitness center, squash court and tennis court. Enjoy the state of the art gymnasium or relax at the sauna and hot tub. 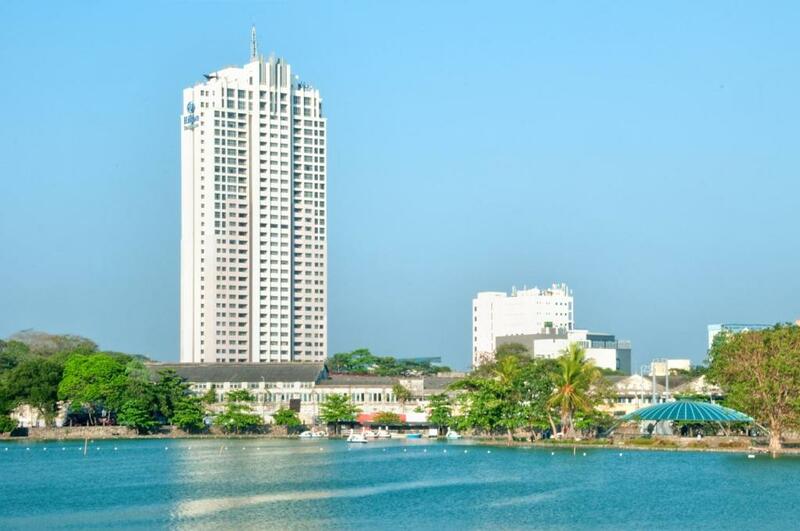 Interesting day trips around Colombo are easily arranged at the tour desk. The accommodations also provides spacious meeting and banquet venues. When would you like to stay at Hilton Colombo Residence? The suite has separate living and dining areas, a master bedroom with a king-sized bed and a guest room with one single bed. The master bathroom features a combined shower and bathtub. A full kitchen, washing machine and a laundry area make the suite ideal for extended stays. Unwind in front of the 46-inch LED TV and BlueRay® player in the living area and a 32-inch LED TV in the master bedroom. This luxurious penthouse suite comes with its own living room, dining room and full kitchen facilities. Choose from a variety of unique decor, including American, Japanese, English and European. A 42-inch flat-screen TV and views of the lake are included. This spacious 3-bedroom suite also offers spacious dining and living areas. The master bathroom features a combined shower and bathtub. A full kitchen, washing machine and a laundry area make the suite ideal for extended stays. Located on 27th and 29th floors, the three-bedroom suite comes with an ergonomic Herman Miller® chair. Includes an executive desk with a 4-in-1 print/scan/fax/photocopy device. The suite has separate living and dining areas, a master bedroom with a king bed, a guest room with a queen bed and another guest room with a single bed. Unwind with the 46-inch LED TV in the living area or 40-inch LED TV in the master bedroom. A BlueRay® player is also provided. The fully-equipped kitchen, washing machine and laundry room are great for extended business stays. Located on the 30th and 31st floors, just beneath the Penthouses, these suites offer full bay windows. There is one king-sized bed in the master bedroom, while the two guest rooms have a queen-sized bed and one single bed. Catch your favorite show on the 46-inch LED TV in the living room or 40-inch LED TV in the master bedroom. A BlueRay® player is also provided. The suite also features a fully-equipped kitchen, washing machine and laundry room. Enjoying views from full length bay windows, this large 2-bedroom suite comes equipped with a flat-screen cable TV, DVD player and ironing facilities. Enjoying views from full length bay windows, this large 3-bedroom suite comes with 46-inch LED TV and BlueRay® player in the living area and a 32-inch LED TV in the bedroom.This suite features a full kitchen, washing machine and laundry room. Located on the 27th and 29th floors, this suite is complete with a business desk with a 4-in-1 print/scan/fax/photocopy device and ergonomic Herman Miller® chair. It is furnished with one king-sized bed in the master bedroom and one single bed in the guest room and has separate living room and dining areas. Unwind as you catch your favorite show on the 46-inch LED TV in the living area or 40-inch LED TV in the master bedroom. A BlueRay® player is also provided. The fully-equipped kitchen, washing machine and laundry room are great for extended business stays. Decorated in soothing earth tones, this spacious 2-bedroom suite comes equipped with a 40-inch flat-screen TV and full length windows. This modern room comes with a large bathroom and offers city or ocean views. Located on the 28th floor and equipped with a king bed, the suite provides tea/coffee making facilities and a mini-bar. The contemporary bathroom includes a whirlpool bathtub and separate shower area. There is a 46-inch LED TV placed in the living room or 40-inch LED TV in the master bedroom. A BlueRay® player is also provided. Gaze out over the city or ocean from your luxurious suite at the Hilton Colombo Residence Located in the commercial capital city . Our 2 & 3 bedroom suites with a contemporary look & feel, offer guests the perfect blend of space for multiple sharing, security and home comfort, coupled with modern facilities & services of a deluxe five star hotel. We are listed as the only Fully Serviced All Suite Residence complex in Colombo. 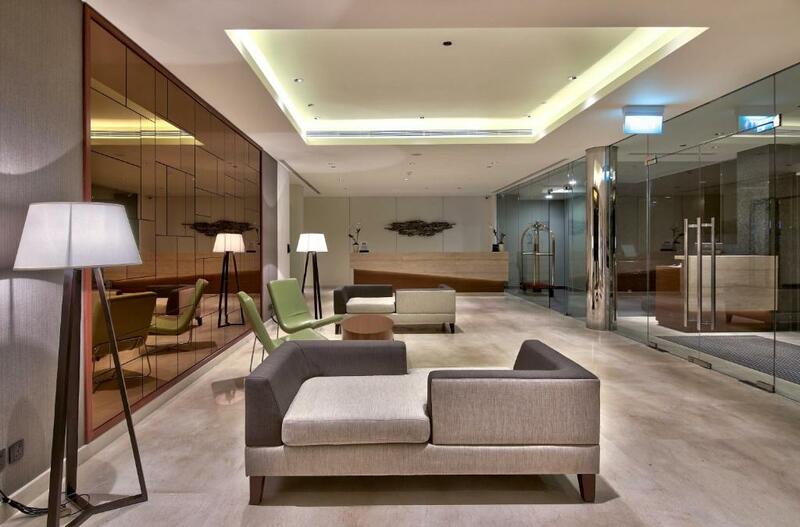 Enjoy world class Hilton service standards at out unique apartment hotel. 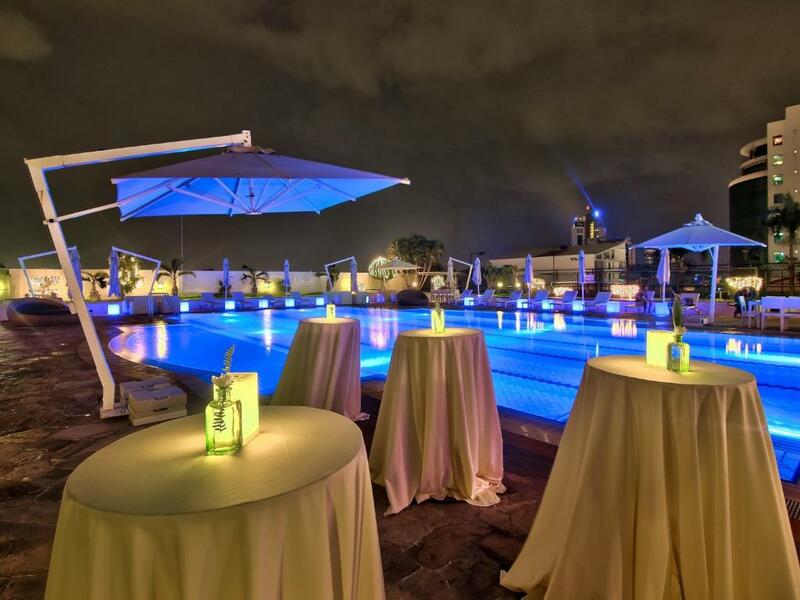 House Rules Hilton Colombo Residence takes special requests – add in the next step! 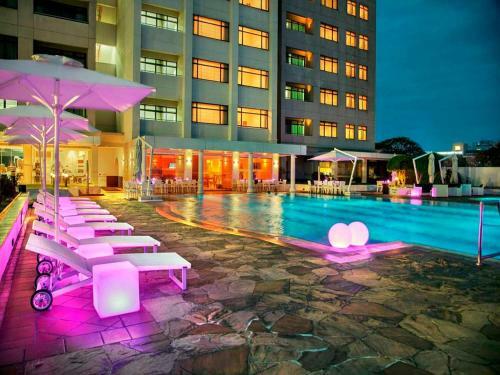 Hilton Colombo Residence accepts these cards and reserves the right to temporarily hold an amount prior to arrival. Not having a washer/dryer in the facility. Price per person for breakfast/lunch/dinner buffet. Big international variety, however, price may include cost for the variety. Speedy efficient check in with great service from lobby to serviced apartments organised for us by a charming Dinindra. Two very spacious modern flats. A superb gym and pool. Great bar and restaurant with easy access to a supermarket virtually downstairs. no real bad experience here. the apartments were really spacious and nice and the staff was really good specially the guys in the restaurants. Lovely huge apartments with all the facilities you need for a trip. Rooms serviced daily. Few minor things at the restaurant, i have informed the staff to take care . Strategic location, The appartment suite was spacious enough. I could carry out a few meetings at the appartment itself. Staff were responsive, friendly . Restaurant buffet was good .